Chris Andrews made three singles for EMI 1967-70 under the name Tim Andrews and a further three with Paul Korda which together form the core of this compilation. From the start, Chris cut an interesting swathe through swinging London. Battersea born and bred, he was both London Savoy Hotel page boy and a mod with an eye to a career in show business. He played the Artful Dodger in the West End and touring casts of Lionel Bart’s ‘Oliver’, taking over the role from friend David Jones (a pre-Monkees Davy Jones) before returning to London in 1965. The sounds on offer here are, indeed, very ‘60s. Chronological sequencing captures the rapidly changing pop scene of the decade’s latter half, beginning with the raw RnB of The Gremlins’ 1966 High Time Baby and Small Faces organ crunch of Rupert’s People’s ‘Hold On’. The early highlight is Mud in Your Eye, a pre-Sharon Tandy Fleur de Lys slice of moody freakbeat with a chunky guitar solo where a verse should be. No film appears to survive demonstrating Andrews’ live appeal but you have to guess by the energy of these early tracks and his background in musical theatre that he would have put on a good show. Reflections of Charles Brown is a coolly pleasant, Whiter Shade-like slice of life which was disowned by Rupert’s People (actually Fleur de Lys again). A name change to Tim (so as to avoid confusion with Sandie Shaw’s writer and sometime singer, Chris Andrews) marks the start of Andrews’ peak period. Sad Simon Lives Again boasts a catchy singalong chorus whilst the wintry semi-acoustic B-side You Won’t Be Seeing Me Anymore shows an attractive, gentler side. By now we’ve reached 1968 and what should have been the breakthrough single – (Something About) Suburbia. According to the CD’s booklet, incredibly, this highly commercial number started out as the B-side to Your Tea is Strong – a faintly embarrassing, slyly humorous piece with mannered vocal and background chatter which wears its cod-Jamaican influences a little too, err, strongly. Not surprisingly, DJs flipped the single but still Suburbia never made it into the charts though it’s enjoyed something of an afterlife. The full story is here. Follow-up, Smile If You Want To (now with Paul Korda) is also a strong contender. Cy Payne’s arrangement takes us into Keith Mansfield bold brass territory along with dramatic Four Seasons vocal flourishes, I think from Paul. There is plenty of drama to be had in this Britpop song which would surely have felt at home in a ‘68 home grown flick. B-side, Making Love to Him, is confident pop with vaguely wayward episodes of pounding drums and vocal echo. From this point on, I think the CD loses a little momentum, suggesting maybe that Tim’s star was already on the descendant though How Many More Hearts Must Be Broken just won’t let the pace slacken, coming on like a Barry Ryan/Love Affair hybrid on speed. As 1969 drew to a close, Parlophone gave Tim one last stab at the big time. Probably Tiny Goddess – Tim’s enjoyable cover of the elegant Nirvana song – was too low key to do it. The self-penned B-side, Josephine, with its lyric ‘Try to live without sorrow, See what’s coming tomorrow’ points the way to Andrews’ future as a songwriter at Decca before returning as Kris Ryder in the mid ‘70s. Josephine sounds like a fine Casuals song in the making and indeed Andrews wrote for the Lincoln group along with David Essex, Roger Daltry, Silk and others. Kris Ryder’s We’re Alive and Zoom in On Me shows the London mod ten years down the line in power pop mode, alive, well and sporting a Paul Weller/Sting haircut. But perhaps what really brings the ‘60s segment of our story full circle is that Tim gets to play in pantomime with his old friend Davy Jones. The first in what I hope will become an occasional series bringing together songs sharing a common theme, starting with… suburbia. A bright and breezy standout on 1980s’ vinyl compilation Sixties Lost and Found, (Something About) Suburbia is a jaunty music hall-style escapade complete with banjo, brass, tambourine, teasing hi-hat and Tim Andrews’ unabashed vocal – all of which is just as much fun as it sounds. Tim Andrews was born and bred in Battersea. He played The Artful Dodger in Oliver for several years and there’s an endearing cheekiness to many of his vocals, Suburbia, in particular. Cy Payne supplies a joyfully strutting accompaniment. Suburbia was originally the flip to Your Tea is Strong but was better liked than the A-side so DJs wisely played it in preference. It wasn’t a hit but surely deserved to be. A few years ago, I was fortunate to exchange emails with Suburbia’s writer Rod Thomas. Rod confirms that although the song had a huge amount of air play “they couldn’t get any TV because they’d used up their contacts on Tim’s previous record which also had not lived up to expectations”. Unusually for the ‘60s, here the suburbs are regarded as a treasured place of familiar comforts and even care-free abandon, always there for you when the big city lets you down. Rod Thomas: “When the song was about to be released (however), the record company got cold feet. They thought the idea of going home to suburbia was ‘uncool’ and that kids would rather have been leaving it for the bright lights of the city”. Rod wrote the song as a young man working in a steel works in Cardiff while living some eight miles away in a quiet village – “my suburbia. Ironically almost at the time of writing it, 1968, it began to change and is now almost a suburb of Cardiff”. Suburbia has a habit of cropping up in some unexpected places. 1968 children’s serial The Tyrant King (Thames Television’s soundtrack-rich kaleidoscopic tour of swinging London) features an ice-skating scene in which Suburbia plays across the loudspeakers. It brought a smile to my face hearing that. DJ Mike Read picked up on Suburbia on his late ‘80s Radio 1 show along with other Sixties Lost and Found gems like David McWilliams’s ‘The Days of Pearly Spencer’. The song’s themes probably chimed with Read’s fondness for the poetry of John Betjeman. His intention was to write a musical based around these but I don’t know if one ever emerged. 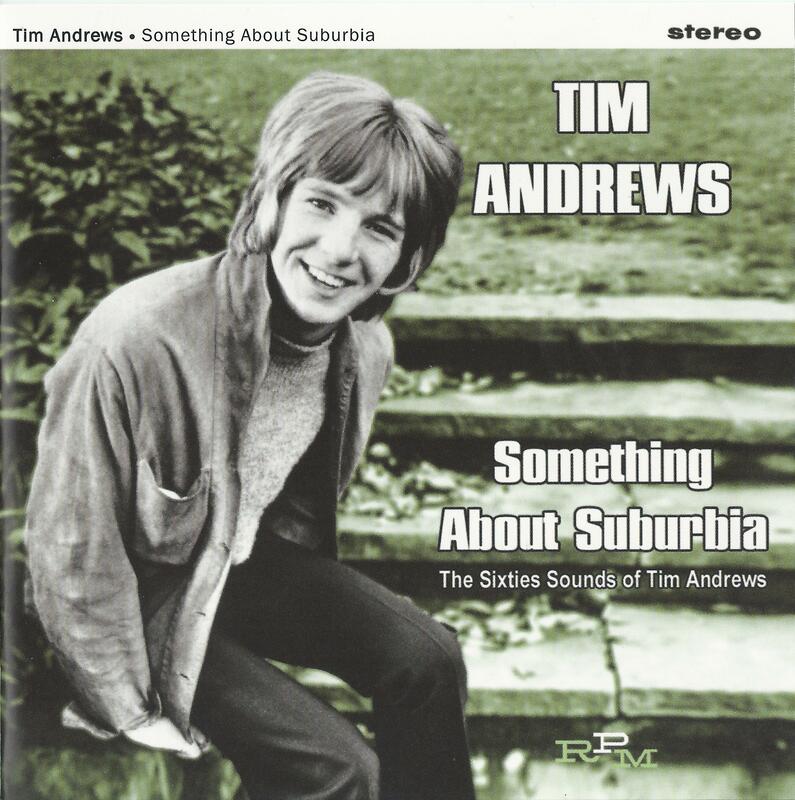 (Something About) Suburbia lends its name to last year’s Tim Andrews compilation (I’ll be reviewing this next week). The Tyrant King is available on DVD and in glorious colour too. Well worth seeking out. With many thanks to Rod Thomas. For a long time, hearing Malvina Reynolds’ 1967-recorded folk-protest staple Little Boxes made me think of Milton Keynes. I blame a mid ‘70s ‘Nationwide’ report which has lodged in my mind ever since. A safari-suited Bob Wellings is crouching amidst the regulation gardens of alleged ‘ticky-tacky houses’ like a sort of suburban David Attenborough or a more benevolent Jeremy Beadle. 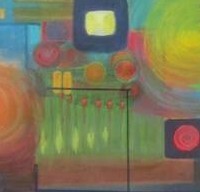 ‘Little Boxes’ was the unflattering soundtrack. It was a predictable choice but then ‘Nationwide’ was a quintessentially suburban programme, a one nation conservatism palliative for a distressed decade before much of what remained of ‘60s utopianism was swept away. Unlike the tower blocks, the ticky-tacky boxes mostly weren’t swept away. But they did begin to grow English vernacular porches and Victorian conservatories. I prefer to think of them in their pristine ‘60s heyday, as they are in The Town I Live In. I don’t know if Milton Keynes has twenty seven churches or ‘avenues lined with silver birches.’ This slice of social satire could just as well be about any number of new towns with ‘lots of houses spick and span, lots of little people too’. Jackie Lee’s large lunged cri de coeur positively echoes across the municipal flagstones. There’s a brisk, flicked-back stylishness to the song even from the word go – that elegant woodwind and tom-tom pattern in the introduction, for example. Later, bass piano, resounding percussion and tubular bells (twenty-seven of them?) add to the air of classiness. And just listen to that sign off: “There’s several hundred brand new houses and lots of brand new primary schools etc etc etc etc la la la la la…” Just where was Geoff Stephens living in 1966? Funny thing about the silver birches is that they’ve become a symbol of urban cool – Tate Modern is a case in point. I doubt the debt has ever been acknowledged though. It’s that Geoff Stephens again! Despite its sing-along breeziness this Manfred Mann hit is actually quite a cutting song when you pick apart the lyrics. Written by Geoff and John Carter (during his brief socially relevant period – White Collar Worker, Time and Motion Man), Semi-Detached Suburban Mr James sees a spurned lover taking a swipe at his ex-girlfriend’s choice of bride-to-be by condemning the suburban life the couple will lead, with its rituals of ‘buttering the toast,’ ‘taking doggie for a walk’ and ‘hanging clothes upon the line.’ I wonder what kind of life she might have led with him, though? It feels as if there is a bit of history between these three characters. The song might be sung by a Terry (Likely Lads)-like chap – a little sour, dismissive of upward social mobility – ‘so you’ve finally made the grade’. The bride-groom would be aspirational Bob. It doesn’t work in the context of the series but I hope you get my drift.